I’m so thrilled about today’s post. I’m visiting over at my friend Maureen’s–you all must know her, the author of Orgasmic Chef. It’s impossible to visit Maureen without walking away smiling. She has a way of making you feel at home when you visit her and her sense of humor coupled with her mouth-watering recipes just keeps you returning post after post. Her blog has won over many fans for a reason, including me. Maureen is based in Australia so I was especially excited about sharing a spring-appropriate dish. I made quiche, mainly because it’s great for taking along to parties or potlucks but also because it’s one of my favorite dishes. 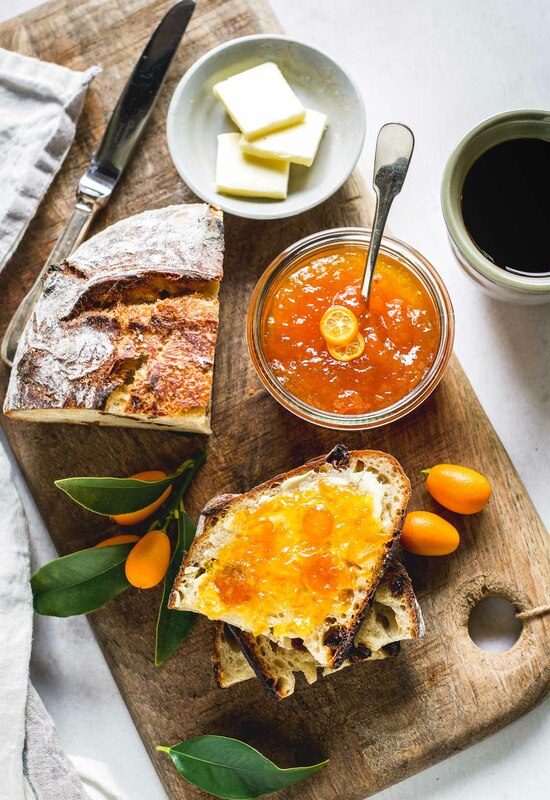 In my 20s it was my go-to contribution to parties–the fillings infinitely adaptable to suit everyone’s taste–but I’ll admit to using pre-made crust then because I couldn’t even imagine making my own. Well, I’ve since found a foolproof flaky pastry crust recipe and I haven’t looked back. Won’t you hop on over to Maureen’s–she’ll welcome you like an old friend. 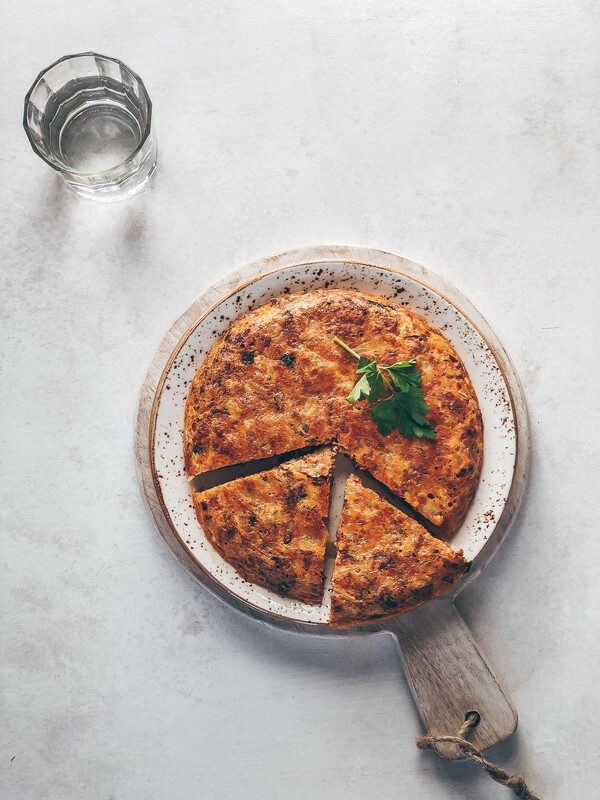 I’ve shared my recipe for Bacon, Asparagus & Cheddar Quiche and I hope you like it as much as I do. Start with the smaller portion of flour; 145 grams works great for me. Process the flour, butter and salt in a food processor until the mixture is the texture of coarse crumbs, about 10-15 seconds. Add the ice water and pulse just until the pastry begins to hold together, about 6 – 10 pulses. Be sure not to let the mixture form into a ball. Transfer the pastry to a plastic wrap, flatten and form into a disk (Add 1 tablespoon at a time of the remaining flour if the dough seems too sticky). Since I was going to use the dough for two individual quiches, I split the dough in two, formed each into a disk and wrapped separately in plastic wrap to make it easier to roll later. Cook the bacon pieces in a small pan until crisp. Transfer to a small plate lined with a paper towel. You can drain the rendered bacon fat or use olive oil to cook the vegetables in the same pan. Your choice. Sauté the onion over medium-high heat for a minute or two then add the mushrooms and asparagus. Add salt and pepper, to taste. Cook the veggies until the mushrooms are slightly caramelized, 5-6 minutes. Using a slotted spoon (to leave behind any liquid/oil remaining in the pan), transfer the cooked veggies to a bowl. In another bowl, whisk together the eggs and half-and-half. I like a pretty moist quiche so I used ½ cup but you can use ⅓ cup if you prefer a firmer quiche. Once the dough is chilled, preheat your oven to 375°F. Lightly flour your workspace and roll out each dough thinly. I used mini springform pans that are 4½ inches wide and 1½ inches deep. Spray the pans with nonstick spray and arrange the dough in the pans. Since I like this crust, I didn’t trim the excess and just tucked the overhang inside the pan (This will also compensate for any shrinkage in the dough). Pierce the surface of the dough with a fork, line loosely with foil and fill the bottom with pie weights or dried beans. Par-bake the shells until the edges just start to turn brown, about 10 minutes, then remove the foil and bake for another 8-10 minutes. Cool for a few minutes before filling. If you are using springform pans like I did, make sure to wrap the bottom of the pans tightly in foil to prevent the egg/milk mixture from leaking. If you are using another type of tart pan this step is not necessary. Divide the bacon and veggie mixture between the two pans and arrange evenly on the bottom. Add most of the cheese to make the second layer, leaving behind just enough to top the quiche. Divide the egg/milk mixture between the two pans and top with the remaining cheese. If you are using similar springform pans, the filling ingredients will be enough to fill to the top of the par-baked crust. If you are using tart pans that won’t be as deep, you may have a little extra. Just something to keep in mind. Bake for 25-28 minutes or until the quiche is golden. The inside will still be a little jiggly in the middle but this is okay. What gorgeous and inspiring photography, Jean! I was just over at Maureen’s and saw your gorgeous guest post. Love the cheerful styling which makes me think it’s FRIDAY!!! 😀 Perfect brunch menu, too. Great guest post, Jean! Beautiful, Jean! Headed over now! Yes, the photos are fantabulous. 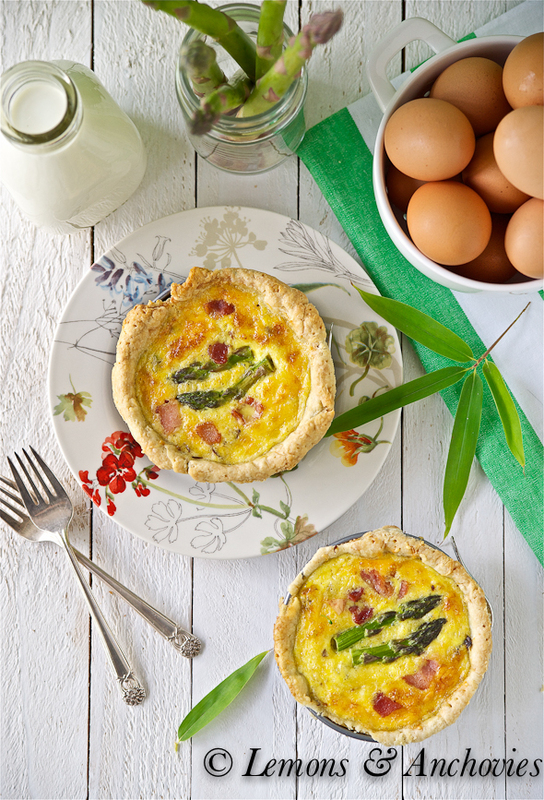 You really captured a gorgeous spring essence of the asparagus and the quiche itself. Delicious. Beautiful. I love that the quiche is nice and thick too! I love love love quiches. They are so delicious! Congratulations on your guest post- going to check it out now! Stunning quiche Jean!!! I bet your house smelled amazing as it baked in the oven. Lovely photos. Jumping over now!! I am already subscribed to Maureen’s blog and will hop over there now. Your quiche is beautifully photographed as always and looks delicious. 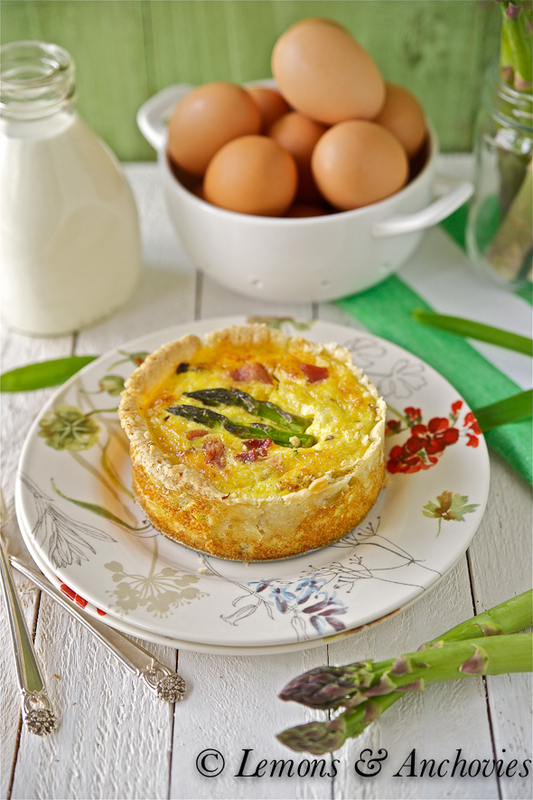 I love Maureen blog, yours too of course and this quiche sounds delish! Quiche has always been a favorite of mine and it often gets forgotten since I made it so much many years ago. Thank you for the reminder. I will have to head over to Maureen’s blog for the recipe. Beautiful photos of your quiche, love Maureen, she is quite funny and her food so delicious looking! What a stunning quiche! Heading over to check out the recipe! A fabulous quiche! So tasty. Heading over to check out your post. 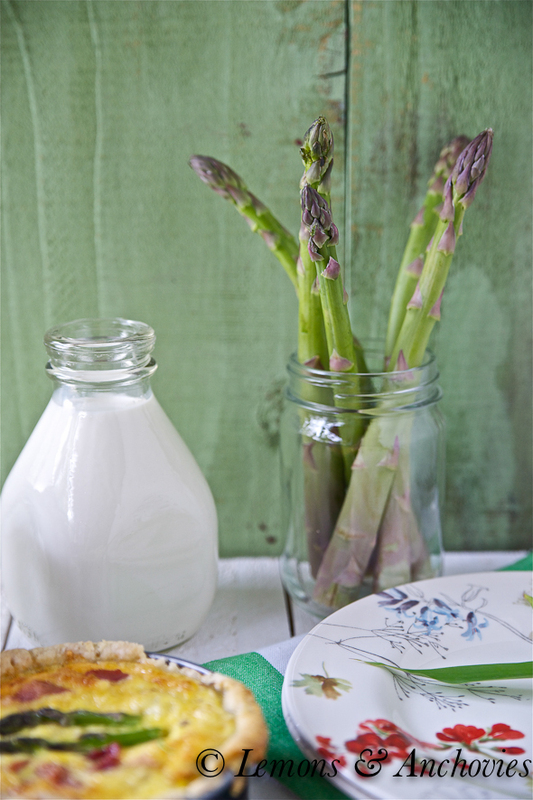 The asparagus sound delicious, great to pair with the bacon. Gorgeous!